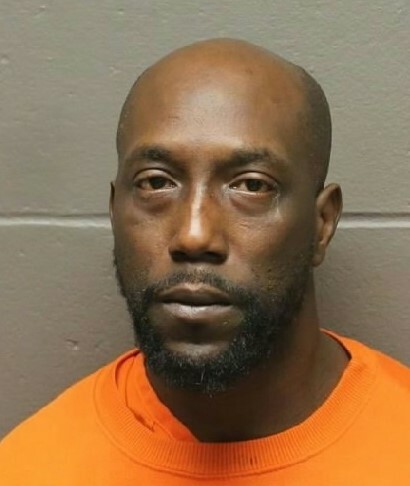 A Georgia man was arrested after allegedly firing several gunshots from his car in Atlantic City. Police were called to the 1300 block of Baltic Avenue at about 5:10 p.m. Wednesday for a ShotSpotter alert, Sgt. Kevin Fair said. A man fired several shots into the air and sped off after having an argument with two women, witnesses told the officers. Evidence of gunfire was found and police got a description of the man and vehicle, according to the report. Officer Eric Evans found the unoccupied vehicle just before 8 p.m. in the 100 north block of North Carolina Avenue, Fair said. While Officers Justin Draper and Timmy Hoang were waiting for the arrival of a tow truck, Omar Law attempted to get in the vehicle, according to the report. Law was identified as the suspect and arrested. Law, 41, of Lithonia, Georgia, is charged with unlawful possession of a weapon, possession of a weapon for an unlawful purpose and certain person not to possess a weapon. He was taken to the Atlantic County Justice Facility.